Now that summer has passed into autumn I've started using my old 8x10 Cambo monorail. This morning was the first time I 'd used the camera since late spring. I was a bit rusty and things didn't go very smoothly. I made a number of mistakes on the shoot. 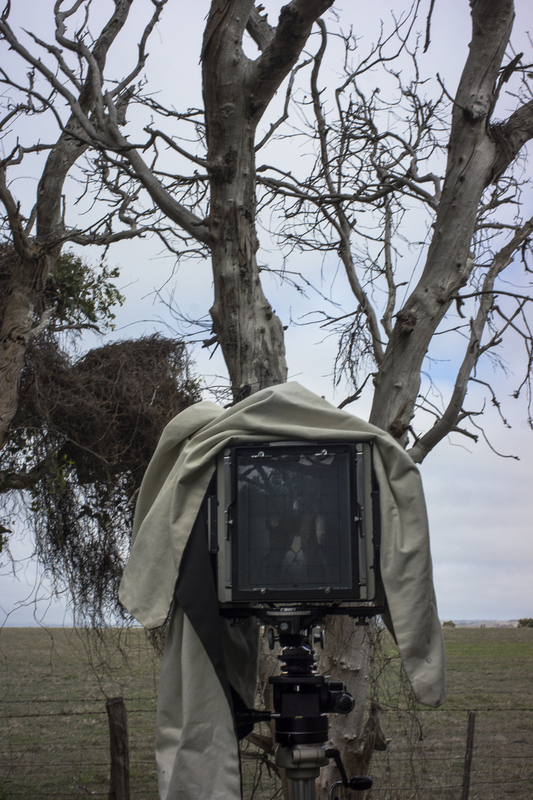 Over the summer I'd changed the lens on the Cambo from a Schneider-Kreuznach Symmar 210mm to a Schneider-Kreuznach Symmar 300mm in preparation for photographing the silos along the Mallee Highway in the next month or so. The former lens didn't cover the camera's rise and fall movements very well, especially with the front standard, which needed to be raised quite high to get the top of silos in the frame.